Data collection is a process of collecting information from all the relevant sources for its further processing. All businesses face it in varying degrees, and most of them deal with field data collection. The process of collecting data in the field can be long and tedious, and contain many steps. Traditional method of data collection is paper-based. Field staff collects data on paper forms that need to be manually reviewed and further entered as electronic records on PC. This common activity is not quite convenient and creates potential problems with maintaining data integrity and accuracy. Taking this into account, mobile technology has transformed this process and nowadays allows users to collect business data from the field digitally using mobile devices such as smartphones and tablets. Here are some benefits of mobile data collection. The total amount spent annually by US companies on printed documents is $120 million, while in average 45% of company’s printed paper ends up in the trash by the end of the day. By reducing the need for paper and efforts, spent on its processing and storage, businesses can make some cost savings. Mobile forms offer businesses more optimal data collection without regular expenses on paper, file cabinets, printers, special workers and more. Mobile data collection reduces both field data collection time, and the time required for distribution, processing and analysis of data and generating reports. In fact, mobile form apps enable one person to do all of these activities with data. Any specialist can instantly fill out mobile forms, generate report and email it to the office. Timely data contributes to a faster and better decision making. With acceleration of data work, mobile forms increase productivity and efficiency of the workflow. One small error at the document can cost huge money and efforts. Unfortunately, manual data collection often deals with typos and inaccuracies. Mobile data collection reduces the possibility of errors at the collection and provides more accurate data. Paper can be unwieldy for both field workers and a staff that needs to manage and store it. Stacks of paper and file cabinets are an additional burden for workers and a waste of money. Mobile form apps offer convenient storage of collected data in the cloud. Such data is safely stored and available at any time, not to mention saved time and money to its maintenance. Snappii is an experienced provider of powerful business apps and mobile forms. Our Mobile Form Converter allows anyone to convert or create mobile forms to instantly fill them out on any mobile device. You can use your existing PDF and just transform it to the digital format or choose from the pre-made form templates for various industries. It’s fast and extremely easy. No tech skills needed. With Snappii, specialists can get a ready-to-use mobile form in a few minutes. Move to the mobile data collection right today and Snappii will help you. Do it yourself or send us your forms. Many tradesmen use technology every day to build their business, make it more straightforward and efficient. Nowadays the mobile technology is exactly the thing that is coming to the fore. Professionals can use their phone or tablet to automate routine tasks and save valuable time and energy. Let’s consider this benefit in more details. No one likes having tons of paperwork. In addition to waste of time, paperwork is an absolutely unreliable process. Paper files can be lost or spoiled, and writing by hand always entails typos and errors. Moreover, tradesmen often work in the field and don’t have access to their PCs or laptops and work with paper in such conditions is impossible. There is one small but smart solution for all these challenges. Special mobile apps can easily replace all paperwork and make various operations faster. Users can have all documents right in their smartphone in convenient and powerful digital format. Mobile forms eliminate paper, file cabinets and long processing of data. What took several hours now can be done in a few minutes. Tradesmen can manage all operations on the move. Mobile management apps provide constant communication channel with all employees. 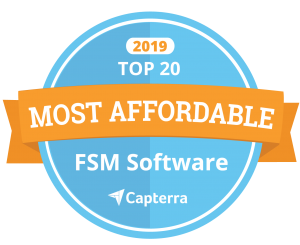 It contributes to better and faster decision-making and workflow optimization. Moreover, management apps can be a good tracking tool. Managers can track work hours, the workflow, the progress of each project, and keep clients in the know. It’s a great opportunity to increase the productivity. Invoicing is an extremely important process for tradesmen. With special invoicing apps, there is no need to make customers wait for a quote. Tradesmen can instantly create invoices on a smartphone, send them and keep a database of completed invoices. Invoicing apps are the best replacement of paper-based invoices. It’s a great saving of tradesmen and clients’ time. Moreover, such mobile invoicing provides the beneficial effect to the company image. Various inspection apps can be a perfect component of successful business. Regardless the industry, tradesmen should conduct inspections, whether it’s safety inspection or equipment inspection. Inspection apps turn this task into a lightning fast and easy process. Such apps allow users to collect accurate data in the field, process it, generate reports and safely store them. A mobile form can be filled out in a snap and even with just your voice. 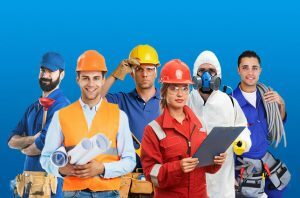 Snappii, a mobile business app development company, offers a plenty of powerful apps, configured for tradesmen and provide a huge number of benefits. The main goal is to free users from paper, save time and money. Snappii is able to customize any app specifically for your company and your clients. We are proud to create apps in weeks, not months. Moreover, we offer unique mobile form conversion. Anyone can transform their own paper forms into mobile form app. For example, now any of your invoice or inspection form can be filled out at your smartphone. No special skills required to create such a mobile form. Snappii support team is always ready to help with this process. Make a step to the digital future and increase the revenue with Snappii. Up until recently, daily reporting was a tedious and long paperwork. The traditional methods of using paper-based forms require 2-3 hours a day. With all the pros of daily reporting, it is a huge consuming of time, efforts and money. Fortunately, nowadays mobile technology has drastically changed this process and provided the unique advantages. 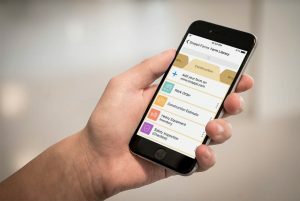 Mobile forms offer the replacement of paperwork, and special reporting apps allow users to perform various data operations right in the field, using their mobile devices. This way, what took 2–3 hours, now can be done in a few minutes with a minimum effort. Reporting apps provide project managers the most accurate and timely data, which allows them to make the best decisions and instantly eliminate possible problems. This offers a significant increase of workflow efficiency. Streamlined reporting process influences the whole construction project and contributes to its success and increase of company revenue. With reporting apps, all documents are not only easy to create, but also conveniently and safely kept in one place. They are available at any time and companies can get rid of stacks of paper and file cabinets. Also it is a way to cut the costs of paperwork maintenance. 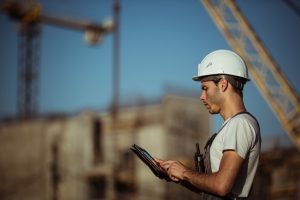 Snappii, a leading mobile business app provider, has supplied construction industry with a plenty of powerful construction apps with different features. For example, Construction Daily Log app, Construction Manager app, Constriction Timesheet app, Construction Estimator app and more. All of them are available in the App Store and Google Play. However, we understand the uniqueness of each separate business and strive to satisfy them all. Snappii can customize any of these ready-made apps or create a custom business app from scratch. The process is based on your personal ideas and needs. We’ve already helped thousands of companies and you can contact us to learn more. Snappii offers even more opportunities for work with daily reports. Recently we have designed a solution to let anyone easily convert any paper form to mobile form app. With our brand new Form Converter, managers or other specialists can generate reporting apps themselves. Users can pick a ready-made template or upload existing PDF form or report and convert it to the convenient mobile form. Then they upload Snappii Mobile Forms app and can easily fill out their form right on a smartphone. After filling out, the app will generate the complete report. This way, reporting becomes the process of several clicks. You can fill out your forms anywhere and at any time, instantly create reports and email them. It is absolutely free to try and Snappii live support chat is available to help you. Completing a PDF on a mobile device is helpful for business but impractical for a person. Static PDF means users have to scroll up and down, left to right, zoom in and out to fill it out. It’s time consuming and inconvenient for workflow and for work in the field. That’s why, Snappii has developed a solution to convert any PDF to mobile form. Snappii Form Converter allows users to generate mobile forms and Snappii Mobile Forms App makes it possible to instantly fill them out on a smartphone. You simply fill out the fields and the app will generate and complete your PDF. Just imagine how much time it can save. What took 2-3 hours each day, now can be done in several minutes. As we know, time is money, so Snappii Form Converter and Forms App also save money and contribute to cut general expenses. We have made Snappii Mobile Forms app even more powerful by adding some special features. If you don’t have your own PDF forms, Snappii App comes with 100+ ready-to-use form templates for general business, construction, various inspections, transportation and logistics, warehousing, etc. Fill out any form once, and the Forms App remembers your answers, so the next time you can just pick previous answer or autofill the entire form. Save a plenty of time! Hate typing or work in gloves? The forms can be filled out with just your voice. Tap the microphone and just speak. Snappii App converts your speech to text. Some fields are filled in automatically, for example user location. You can find more unique benefits trying Snappii Form Converter and Snappii Mobile Forms app free. No special skills needed, it is available to anyone. See for yourself that filling out PDFs on mobile device can be fast and convenient. And below you can find a comparison table why Snappii mobile form solutions are better and win in the market. One of the main responsibilities of managers is to ensure the productive and efficient workflow. Today managers no longer need heavy laptops and piles of files to write tasks, various notes, generate reports, timesheets, etc. Thanks to modern mobile solutions, all they need for efficient management is just their smartphone. Time is money, and for managers this phrase is particularly significant. Mobile management apps provide convenience, as well as great time saving. 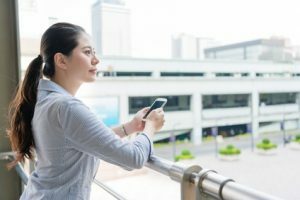 Here are some ways mobile solutions can help managers take back their time, accelerate operations and increase efficiency. Management apps are the best way to communicate information. Push notifications and various sync features allow employees from different job sites to get necessary information instantly and always be aware of important matters. It saves a lot of time on task assigning. Managers can do it in a few clicks at a smartphone, as well as track them, add comments and changes. Also, it contributes acceleration of decision-making process. Snappii, a business app development company, has designed a smart and multifunctional Task Manager app specifically for management operations in the field. Managers can create a database of employees, add and assign tasks, track and update tasks’ statuses and generate reports. This universal management app can replace piles of paper forms, constant movement between office and work site and complex and inconvenient PC programs. Task Manager app eliminates many unnecessary operations and allows managers to spend this time with benefit. One unique feature of Snappii apps is their 100% customization. Anyone can contact us with specific requirements and we will modify the app according to them. When work with a lot of various data on a daily basis, an error or a data discrepancy require extra time and efforts. Troubleshooting decrease productivity of the workforce. Mobile forms increase data accuracy and allow managers to optimize their work with data. Filling out data directly into the mobile form avoids errors from difficult-to-read handwriting and different inaccuracies. Snappii offers more than just mobile forms. Recently we have presented the unique and powerful Form Converter, which provides anyone the opportunity to convert any existing paper form to a complete mobile form. Users can utilize their own PDFs or choose from the gallery of pre-made forms for a plenty of industries. Moreover, Snappii has designed the universal Mobile Forms App to fill out generated form right on a smartphone. It also has the gallery of ready-made form templates for instant usage. Anyone can try Form Converter and Snappii Mobile Forms App for free and no special skills needed. What took 2–3 hours, now can be done in a few minutes. It can bring management to the next level. Reporting is a quite important part of management. It allows tracking the progress of work and make necessary changes in time to get more profit. Managers should compile all the different data that’s been collected manually, enter it into PC or laptop, process it and generate the report. However, modern management apps can drastically simplify and accelerate this process. Some apps, for example Snappii apps, allow users to generate complete reports right at a smartphone and share them. It can be done in a few minutes, using collected data anywhere and at any time. Moreover, these reports can be safely and conveniently stored to have constant access to them. Contact Snappii with any questions and improve your management system right today. 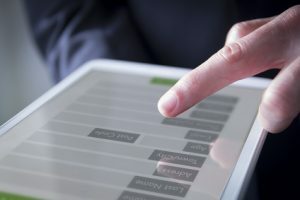 Mobile technology advancements have entirely reshaped businesses by making various processes more streamlined and agile. First of all, mobile solutions have enabled to tie all employees and resources from all locations they operate and provide collaboration in real time. One powerful mobile business app is able to keep the whole workflow smooth and on track. Today we will consider work orders and how modern business apps have transformed them. Not long ago, companies were in a mess, as they had to deal with constant paperwork. Various estimate forms, daily reports, timesheets and also work order paper forms – all of these was a real headache for any employee. Mobile technology has helped businesses throw off the shackles and replace any paperwork with more convenient and efficient mobile forms. Here are the main strong benefits of mobile forms and mobile apps in creation, assigning and tracking of work orders. Mobile work orders are primarily no more pen and paper. Digital format allows users to create, process, assign, track and report work orders right at any mobile device. It’s hard to imagine in how many times it simplifies the process. The right information at the right time just in a few clicks. Employees avoid file cabinets, stacks of paper forms, archives, and of course, expenses on their maintenance. Mobile work orders significantly save time and allow employees to avoid travelling between the office and the job sites. A lack of waste of time on travelling leads to the improvement of efficiency. Productivity directly affects the income, this way, mobile forms and apps not just save work time, but also optimize the workflow, contribute instant decision making, and of course, increase the revenue. Mobile forms contribute more accurate data because they eliminate manual filling out and mistakes associated with this. No more troublesome mistakes from bad handwriting. Moreover, mobile work orders provide real-time actual information, which also increases its value and accuracy. Returning to the mobile work orders, Snappii has some powerful ready-made apps for this process. For example, Work Order Assigner app, which has a lot of useful features to create and assign work orders on the go. This app is ready to use and you can download it at Apple App Store and Google Play. However, more interesting and unique Snappii solution, which has been released recently, is a Form Conversion. It allows users to use any existing forms and reports and convert them to mobile forms. For example, they can convert any work order form or report and create mobile work order form to fill it out right at a smartphone 5x faster. No special tech skills needed. Anybody can do it in a few minutes. Also, we provide a gallery of pre-made form templates to let our users just select necessary form, make some changes and fill it on a smartphone. There are various work order forms for different industries and fields. All mobile forms can be instantly utilized at Snappii Forms app. The app is free, as well as Snappii Form Converter. Don’t waste the time and try them right now! Last years have seen a dynamic activity and interesting industry trends in the transportation and logistics industry. 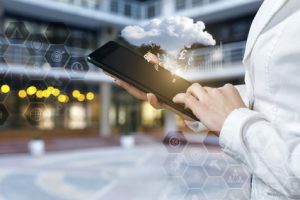 The industry is transforming to reap the benefits of new tech advances, particularly mobile solutions. Mobile technology is one of the most effective methods of reducing costs in logistics field. The fuel prices rise and it forces companies be at the risk of extra costs and losses. Accurate optimization of delivery routes and workflow helps avoid it. Mobile apps for logistics operations provide the most convenient and agile way of tracking, scheduling, collaboration and reporting. Drivers can share their GPS coordinates, fuel consumption and any delays. Using such instant data, operators can help improve routes, avoid reasons of delays in future, etc. Mobile logistics apps can also help reduce cost of staff maintenance. A powerful management app can be a good assistant and eliminate the need to hire additional staff. It allows users to assign tasks, make necessary calculations, track the progress and generate the results into complete reports. Streamlining of communication can help save time and avoid extra work. Warehouses are one of the main participant of logistics operations. Their maintenance is also one of the biggest expenses for company. Many companies still manage warehouses and take inventories manually with paper forms, which contribute regular cost stream. With warehouse management apps, these costs can be reduced in half. Mobile forms allow specialists to refuse from paper and costs of its maintenance. Moreover, warehouse management apps are the most safe and convenient way to store data, which is available 24/7. Snappii, a mobile business app development company, works with various industries, and logistics and warehousing are among them. We are trusted by thousands of companies, and we continue develop and provide innovative solutions. You can find some of our ready-made mobile apps here. For example, Warehouse Inventory and Shipment app is the best tool to assist warehouse managers and other specialists and improve different operations. It allows users to make quick inventories, create supply records and pick lists, track goods that are shipped in and shipped out, generate reports and more. All Snappii apps are 100% customizable and can be changed and added by some features, according to your specific needs. Our just released innovative feature is available and useful for any specialist. Now anyone can replace inconvenient paper forms and fill them out on a smartphone. The basic feature of Snappii Form Converter is a combination of simplicity and power. It doesn’t require any tech skills and it is extremely easy in use. However, along with this, the Converter provide all necessary tools to create a complete form app. Moreover, its uniqueness is an opportunity to use existing forms and reports and transform them into the digital format. Just watch how it works. It will take a few minutes to convert your own form. Also we’ve created the gallery of pre-made form templates, if needed. Start your work with Snappii Form Converter right now! No credit card needed. You will have free forever account and live help on your first form. Join the digital world already today! 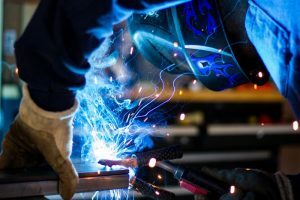 Welding inspection includes examine the connections and various characteristics of welds and bonds between metals as well as a checking of all base and consumable materials and equipment. Moreover, inspectors need to be sure that all welding activities are conducted in accordance with all safety regulation. All of these is a huge amount of data. In addition to working in the field, welding inspectors spend time in an office setting compiling regular reports. For a long time paperwork was an integral part of welding inspections. Each detail had to be recorded manually and then entered into a PC. It’s obvious that such process is time-consuming, unreliable and requires extra efforts. 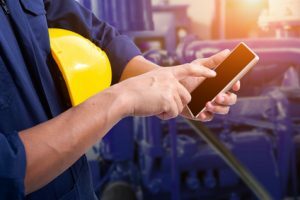 Welding companies and departments have started actively resort to a help of mobile technologies to avoid loss of productivity, quality of work and revenue. This way, a unique solution has appeared. Special mobile form apps allow businesses to eliminate paper-based forms and documents. Nowadays any inspection data can be easily and quickly entered in pre-made fields of mobile forms. Just a few clicks can completely replace paperwork. Of course, it is not the only benefit of mobile form apps. Accuracy of current data influences the whole workflow. This is a guarantee of right decisions and successful business development. Mobile form apps can help avoid inaccuracies and mistakes, which are not a rarity in manual filling of paper forms. As we mentioned previously, all welding activities should be conducted in accordance with local, state and federal regulation, in addition to complying with all company safety rules. Any company must be ready for visits of higher authorities. It’s extremely important to store all documentation in a proper order, be sure in its accuracy and also be able to instantly provide any data. Mobile form apps allow businesses to avoid file cabinets with their problematic management and maintenance. All data can be safely stored right at mobile devices or in the cloud. It provides 24/7 availability in case of any inspections. Snappii, a leading business apps provider, offers powerful ready-made apps for more than 30 industries. What about welding activities, we provide the app with all primary features for quick and qualified inspections in this field. Welding Environment Inspection app includes checklists for WHMIS standards, oxy/fuel systems, electrical and abrasive equipment, hand tools and more. Get detailed information at anytime and anywhere, store data locally, synch collected data across multiple devices, work online and offline, communicate with other specialists in community forum, generate professional reports and send them. Download the app and try even more features yourself. This inspection app can help increase efficiency of the workflow, improve data accuracy, avoid incidents, cut extra costs and time. All Snappii apps are 100% customizable to meet any specific needs. For example, your personal inspection forms can be instantly converted to Welding Environment Inspection app. All you need is just contact us here and send your requirements. Hiscox, an insurance provider, listed on the London Stock Exchange, mentioned in its article that one of 10 biggest challenges businesses face today is exploding of data. “Grandpa’s generation certainly didn’t have to deal with terabytes of data or worry about what to do with it. 90% of the world’s data was created in the past two years”. Rather huge amount of data, modern companies collect and process, is paper-based. In 2014, Gartner estimated that the cost of filing, storing and retrieving paper for US businesses was between $25bn and $35bn. Despite this, going paperless is still more a long-term perspective than a reality for a number of businesses. Mobile technology has finally provided a way to meet the demand in paperless solution. It is worth noting that this way is affordable to any business and doesn’t require much effort. After all, exactly the high cost and complexity of use stopped companies earlier. Now, all you need to go paperless is a smartphone, which can be found in the pocket of anyone in the present days. Paper lead not only to higher operating costs, but also to a loss of productivity. Fieldwork takes up most of the daily operations in the industries like construction. Filling out paper forms in the field is absolutely inconvenient, and slows decision making and the whole workflow down. Mobile forms allow instant collecting and processing of actual data, submitting forms from the field to the office or cloud storage with just a click. Mobile forms enable eliminating stacks of paper and file cabinets. Automating document storage makes it much more likely that documents are where they need to be, in the proper conditions and are available 24/7. It’s extremely important for various inspections of supreme control bodies. Also, companies can protect themselves in case of litigation. Snappii actively helps different companies transform their paper-based documentation to powerful and smart mobile form apps for several years. Snappii was featured as a Top Mobile App Development Company in Portland by Clutch, a B2B research, ratings, and reviews firm based in Washington, DC. You can find more information about it here. Daily logs, inspections, audits, estimates, invoices, etc., any form can be added to an app, meeting your special requirements. You can read how 2 successful companies improved and optimized their daily project documentation with Snappii. You just need send us your forms and comments if you want to free up from bulky paper forever and streamline the work. We are happy to announce the really big news. Snappii offers the release of a brand new Snappii Form Converter. It allows anyone to convert existing paper forms to apps himself or herself, literally in minutes and without any programming skills. We prepared even more unique features and are sure that you don’t want to miss them. Be among the first to try Snappii Form Converter.